. This book is the most complete and up-to-date book on Standard C++. It is also the most widely read and most widely available. By my current best count, it is now available in 17 languages (see [http://www.research.att.com/~bs/covers.html]). This translation is based on a text that has been improved by thousands of suggestions from readers. 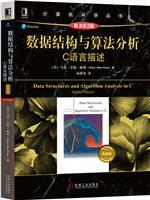 I am particularly pleased that this book is now more easily accessible to chinese programmers and students. Chinese colleagues have pointed out the need for a translation to me, as has many chinese programmers in email. Not being a native English speaker myself, I appreciate the need - and anyway, I just love my collection of translations as a graphic example of the widespread use of C++. Naturally, some people prefer the original English text whereas others feel that a translation into their native language removes a barrier to understanding. I have known programmers who used both the original version and a translation to have the advantage of using their native language and also of having English available to communicate with programmers worldwide. 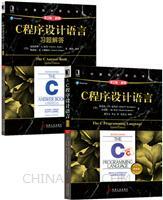 This book covers Standard C++, its standard library, and the fundamental programming techniques supported by C++, such as Object-Oriented Programming and Generic Programming. The aim is not just to explain the language facilities, but to provide sufficient information of their effective use for a programmer to cope with major projects. For that discussion of design is essential. In August 1998 the ISO standard for C++ (ISO/IEC 14882 Standard for the C++ Programming Language) was ratified (by a 22-0 vote of national standards committees). This was a milestone for C++ inaugurating a new era of stability and advances in tools and techniques. For me, the bottom line is that Standard C++ is a better approximation to my aims for C++ than any previous version. Standard C++ and its standard library allows me to write better, more elegant, and more efficient C++ programs than I have been able to in the past. The aim of the standards effort was to specify a language and a library that will serve every part of the user community well without favoring any particular group of users, any particular company, or any particular country over others. It was an open and fair process aimed at quality and consensus. One potential problem with an open and democratic standards process is "design by committee." This was largely avoided for C++. One reason was that I served as the chairman of the working group for language extensions. In that capacity, I evaluated all suggestions for major extensions and wrote the final version of the ones I, the working group, and the committee deemed both worthwhile and feasible. Thus, the primary activity of the committee was discussion of relatively complete designs presented to it, rather than design itself. Similarly, the major new part of the standard library - the "STL" providing a general, efficient, type-safe, and extensible framework of containers, iterators, and algorithms was primarily the work of one man: Alexander Stepanov. Importantly, the C++ standard is not just a document. It is embodied in C++ implementations. All the major implementations now implement the standard with very minor exceptions. To help keep vendors honest, at least two companies now offer validation suites for Standard C++. Thus, the code I write now use ― where appropriate ― most of the facilities offered by Standard C++ and described in this edition of The C++ Programming Language. The improvements to C++ language and the addition of a standard library have made a significant difference in the way I am able to write my code. My programs are now shorter, cleaner, and more efficient than they used to be. This is a direct result of Standard C++'s better, more systematic, and cleaner support for abstraction. Better support for facilities such as templates and exceptions reduce the need to deal with lower-level and messier facilities. Also, the last few years have seen the emergance of many new design and programming techniques, which are reflected in the presentation approach and examples of this book. C++ can now be taught as a higher-level language. That is, the initial emphasis can be on algorithms and containers, rather than fiddling with bits, unions, C-style strings, arrays, etc. Naturally, lower-level concepts (such as arrays, non-trivial uses of pointers, and casts) must eventually be taught/learned. However, the presentation of such facilities can be postponed until a novice C++ programmer, reader, or student has gained the maturity to see them in the context of the higher-level concepts that they are used to implement. In particular, I cannot overemphasize the importance of the statically type-safe strings and containers over programming styles involving lots of macros, casts, and arrays. In The C++ Programming Language I have been able to eliminate essentially all uses of macros and to reduce the use of casts to the handful of cases where they are essential. I consider the C/C++ form of macros a serious deficiency ― which now has been made largely redundant by proper language facilities such as templates, namespaces, inline functions, and constants. Similarly, extensive use of casting is ― in any language ― a sign of weak design. Both macros and casts are major sources of errors. Being able to do without them makes C++ programming much safer and more elegant. Standard C++ is meant to change the way we program in C++, to change the way we design our programs, and to change the way we teach C++ programming. Such changes do not happen overnight. I encourage you to take a long hard look at Standard C++, at the design and programming techniques used in The C++ Programming Language, and the way you program. I suggest that major improvements are possible. Do keep a cool head, though. There are no miracles, and using a language facility or a technique that you only partially understand in production code is dangerous. Now is the time to explore and experiment ― the really major benefits of Standard C++ you reap only through the understanding of new concepts and new techniques.